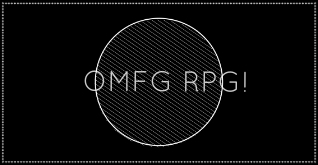 Welcome to OMFG RPG "Beta"! Hey you lovely guys and gals! You were likely invited here personally by me, or by one of the other staff members. And I'd like to thank you for giving us your time! The site was only just recently started up and now that we have a lot of the basics down, we wanted to start opening it up to friends to try and start getting a feel for running the site. Please feel free to go around and use all of it's features to your will, make some games, some characters, chat and report issues as they come up. It's all greatly appreciated! You can go ahead and invite your friends as well, but we won't be launching a full scale advert effort just yet. Stand by for updates, guys! Thanks!